Dolphins can see up to 15 feet away underwater! 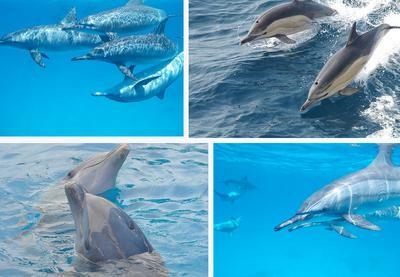 Dolphins boast amazing eyesight in addition to their other well-developed senses. A dolphin REALLY relies on his eyesight every day and night. They are looking for food in the water. Good vision allows them to move freely in the water and it can help them to avoid dangers such as predators. Studies show that dolphins have really wonderful hearing as well. They can hear frequencies that are least 10 times what the best adult hearing.